A few years back, I helped write a short film for the very talented Ryan Kravitz, who had traded in a successful career as an art director to take up animation. It's finished and out in the world now (apparently having racked up a ton of accolades), so I thought I'd post the link here. The Collector's Gift from Ryan Kravetz on Vimeo. It will be developed by Sean Bailey’s Disney live-action group with Auxier adapting the script. Jim Whitaker will produce. 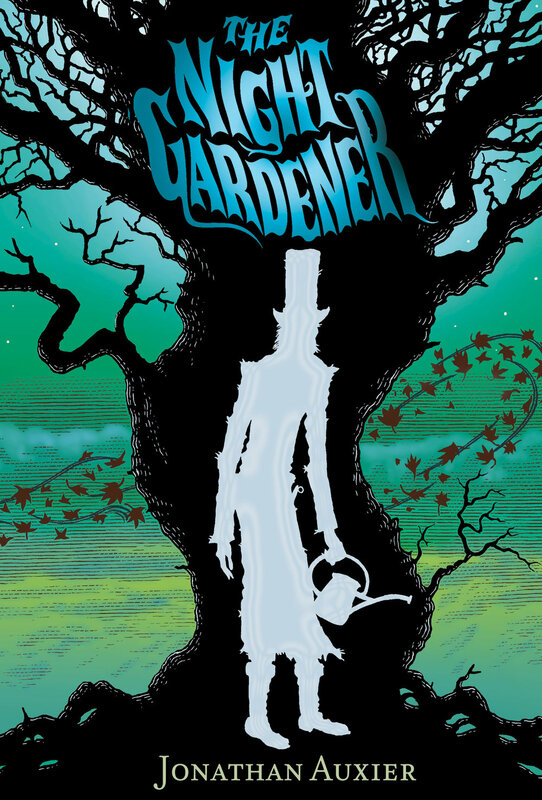 The book is Auxier’s follow-up to his widely popular “Peter Nimble and His Fantastic Eyes,” with this story following two orphan siblings who travel to work as servants at the creepy, crumbling Windsor estate, but neither the house nor its inhabitants are quite what they seem. Soon the children are confronted by a mysterious specter and an ancient curse that threatens their very lives. Disney has had quite the success lately of remaking their animated classics such as “Cinderella,” which just passed the $500 million mark at the worldwide box office, and “Maleficent,” but this acquisition shows they are still interested in developing original IPs. Obviously this is still very far from being an actual movie, but thrilling nonetheless! So what about stories where the superpowers are already built into the plot? Shouldn’t the X-Men be able to do backflips? Perhaps, but it’s still important to make the super-punches mean something. If characters can take an unlimited (or even undefined) amount of damage, it’s hard for audiences to care about the outcome. Screenwriter and friend Matt Bird has a great piece about this subject over at his blog, The Cockeyed Caravan. Check it out! Don't believe me? I invite you to watch for yourself. While I generally think it's bad for writers to summarize action scenes, there are some stories that deliberately do so because its essential to their overall message. A good example of this is Tolkien. Despite having written an epic trilogy about the battle between good and evil, Tolkien keeps his action scenes infuriatingly short -- usually under a page. Roger Ebert observed as much when he reviewed The Fellowship of the Ring, in which he points out that the central action set piece of the movie (the fight with the Balrog) takes up less than 500 words in the original book. So was Tolkien being lazy with his action writing? I’d say in this case, sidestepping the action was the action -- the author was signaling to readers that the meaningful events of this particular story were found in the journey itself, not the skirmishes. I'm going to make a confession that I might regret. About a year ago, I joined some of Mary's colleagues in a weekly "tabletop gaming" group ... which is a dressed-up term for Dungeons & Dragons. This was a pretty smart bunch of people (our game master has a PhD in comic books! ), and I learned a lot from the experience -- not only about roleplaying games, but also about the give-and-take of corporate storytelling. One of the central aspects of any roleplaying game is combat. Generally speaking, most roleplaying games are pretty conversational and free-form … but when a bad guy shows up, everyone pulls out dice, and charts, and (in my case) a calculator! Suddenly, there's an order of operations, and a series of rigid rules to help choreograph every movement of a battle. I sort of became obsessed with the details of these "encounters" and started taking copious notes about every move in the hope of unlocking some secret about how to write action scenes. I wanted to figure out what separated the so-so encounters from the ones that sucked us in -- inspiring recaps, arguments, and in-jokes. What I discovered is that blow-by-blow, the actions in a fun encounter were no different from those in a boring encounter -- sometimes you landed a hit, sometimes you missed. What made a difference was when those ordinary actions were a reflection of the personality of individual character: a hothead fighter dives into a suicide battle right after the rest of the group has agreed to retreat; a vengeful character murders an enemy who has already surrendered; a noble character sacrifices herself so that others can escape. That is to say, the actions are dramatic because that character did them in that specific moment. The other day I was having trouble with a script and so I took a long walk. We have a dollar theater about eight miles from the house, which is a perfect distance (provided you have a ride home[1. 1. I tend to prefer walking all my miles in a straight line ... which invariably results in my phoning Mary to pick me up. The woman is nothing if not patient.]). I love dollar theaters because they stop me from being picky: how can I resent a movie that only cost a buck? Even when the movie is terrible, I can at least spend the time productively by analyzing why the movie is terrible ... Which is exactly what I did while watching The Chronicles of Narnia: The Voyage of the Dawn Treader. Over the years, I have had a very love/hate relationship with Lewis' fantasy series[2. 2. I have long harbored an irrational hatred for The Lion, the Witch, and the Wardrobe ... The Magician's Nephew, however, is one of my favorite stories of all time.]. One of the books' most divisive elements is its use of Christian imagery ... some might even say allegory. I've spoken with countless friends who still remember the day they realized that Lewis had woven covert religious themes into his narrative. At ALA last month, Neil Gaiman reminisced about this moment in his own life. Laura Miller wrote a book about it. Phillip Pullman wrote several. I'm starting to think that the discovery that the Chronicles of Narnia are about something is the bookish child's version of learning that [SPOILER ALERT] there's no Santa Claus. It is the moment when we discover that authors aren't just nice men and women trying to entertain us with a story; instead they're trying to communicate some lesson to us -- which makes them no different than every other bossy adult in our lives. Perhaps even more important, it is usually a discovery we make on our own. I have re-read (and now watched) The Chronicles of Narnia with this question in mind. And the more time I spend with these stories, the less I think that the outrage is justified. Certainly Lewis has created Narnia as a moral universe -- where every new place and challenge is a proving ground for personal integrity. But what good story doesn't do that? Why do we roll our eyes at the heavy-handed moralizing of Eustace's avarice, but thrill at seeing Ofelia approach the table of the Pale Man? Or seeing Harry Potter discover the secret of the mirror of Erised? I suspect that the anger concerning The Chronicles of Narnia is less about Lewis' specific message and more about the fact that he has a message at all. It is outrage at the very notion of authorial intent.